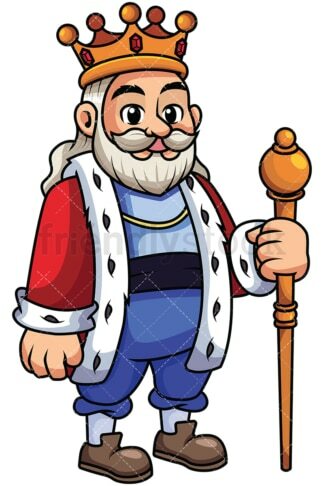 Royalty-free stock illustration of an aged emperor wearing a royal red cloak, a crown, and holding a scepter as a symbol of his kingship and authority. Royalty-free stock illustration of a young emperor wearing a royal red cloak and a crown, sitting on his throne, looking serious, troubled, and lost in thought. Royalty-free stock illustration of an excited king smiling with his arms wide open as if he is welcoming someone to the palace. 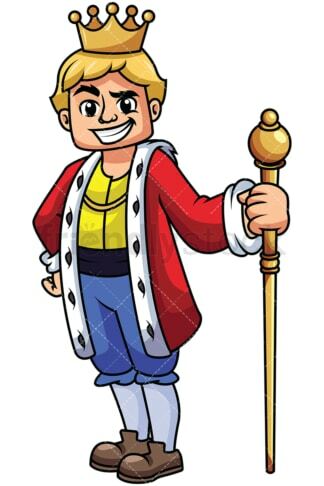 Royalty-free stock illustration of a young, cockly emperor wearing a red cloak and a crown, holding a scepter as a symbol of his royal status and authority. Royalty-free stock illustration of a confident king wearing a red cloak and a crown, holding his sword with the blade touching the ground. 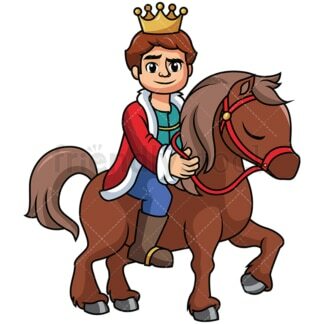 Royalty-free stock illustration of a young prince wearing a red cloak and a crown, riding a ponny. Royalty-free stock illustration of a king wearing a red cloak and a crown, devouring a piece of meat while his shirt is popping open from the extra weight. 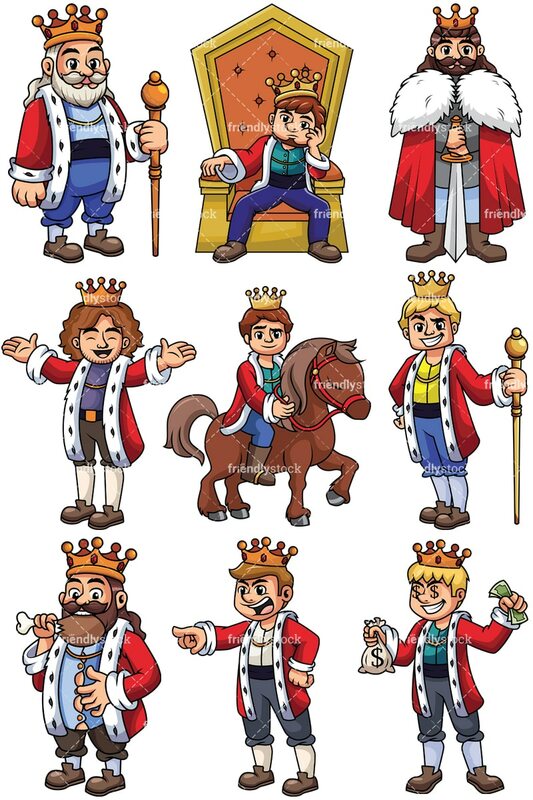 Royalty-free stock illustration of a young king wearing a red cloak and a crown, pointing and yelling at someone – possibly one of his subjects. 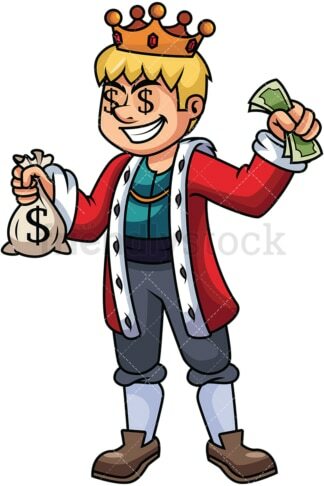 Royalty-free stock illustration of a wealthy young king wearing a cloak and a crown, holding a sack of money with one hand and some cash on the other, looking greedy.